The WHITFIELD Regulator Wall Clock is produced by Tom Harris Clocks (THC) in the UK, and is a large contemporary wall clock – a modern Vienna regulator adapted from classic design style. The case features rope detail around the top and bottom and vetical groves either side of the glass panel in the door. 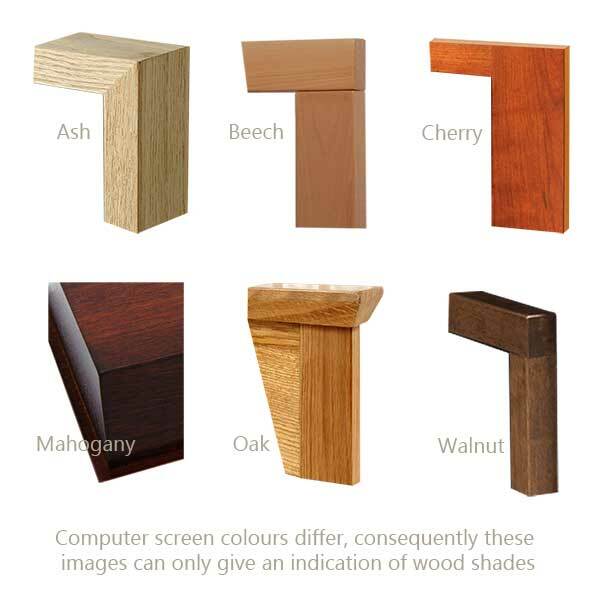 The clocks cabinet is handcrafted from a choice of British hardwoods, sourced locally from sustainable woodlands, and is available in a range of British hardwoods. There is also a choice of pendulum: wood or grid iron and the clock incorporates a drawer for the winding key. 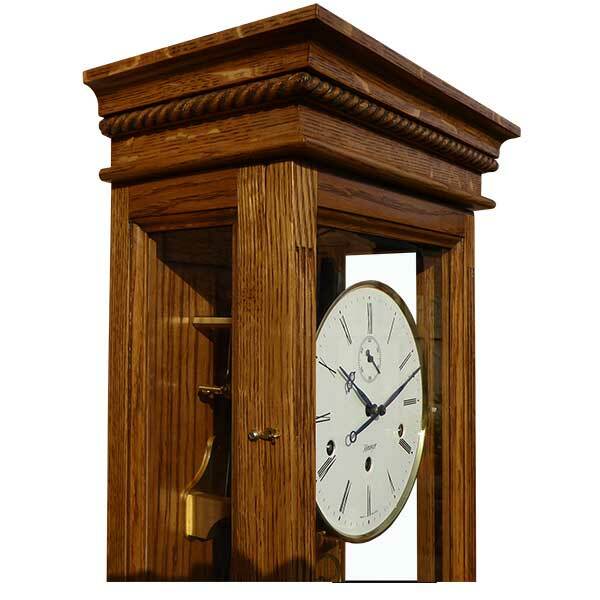 The WHITFIELD Regulator Wall Clock is available in a range of other woods or wood finishes, including: Ash, Beech, Cherry, Mahogany or Walnut. Please enquire for more detail. Kieninger®-RSW is a 1/4 hour cable/key front winding movement with Westminster chime on 8-rod gong, automatic beat adjustment, automatic night time shut-off between 10.00 PM and 7.15 AM and complete chime shut-off facility. Free delivery to any UK address. 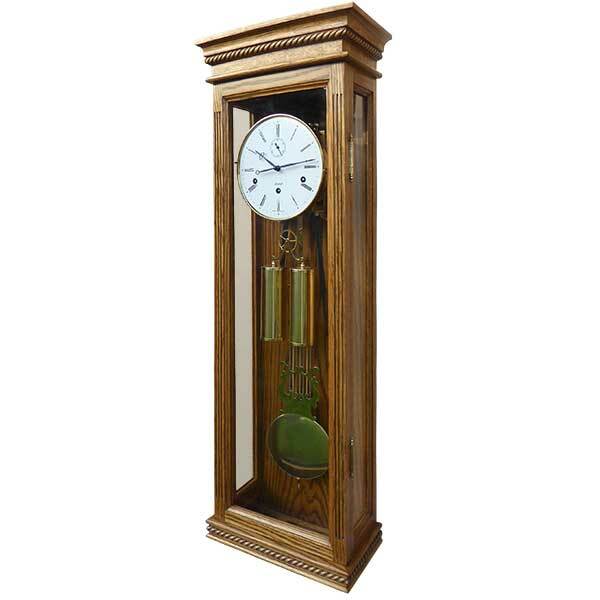 Clocks & Chimes Regulators are not stock items, being hand built to order with delivery routinely between four to six weeks. The WHITFIELD Regulator Wall Clock is produced by Tom Harris Clocks (THC) in the UK, and is a large contemporary wall clock – a modern Vienna regulator adapted from a classic design style. The case features rope detail around the top and bottom and vetical groves either side of the glass panel in the door. specialising in new Regulator wall clocks, designed with a contemporary feel, they are hand made and built to order. 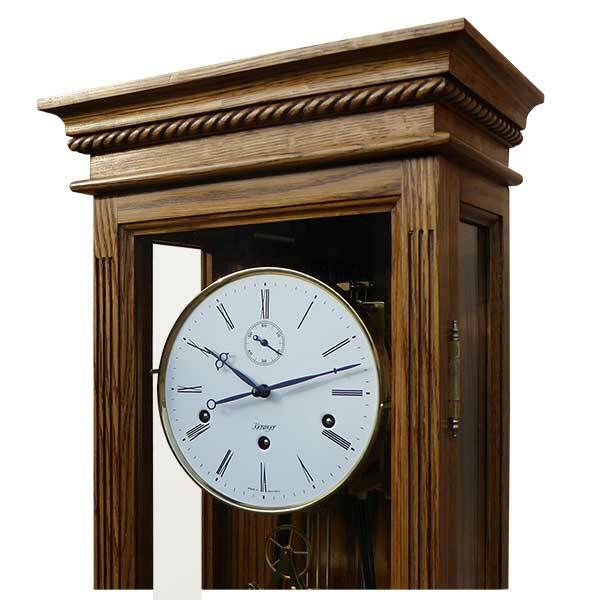 Each clock is made from sustainable British hardwoods and is fitted with a quality German clock movement from either Kieninger® the oldest existing manufacturer, or Hermle the world’s leading producer. 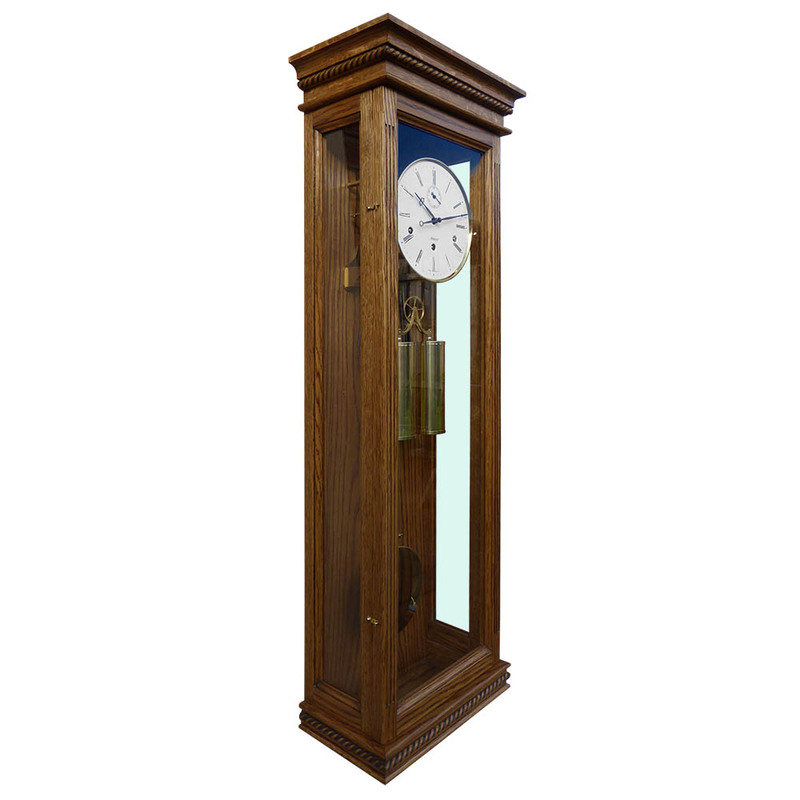 offering along side THC clocks, a selection of quality weight and spring driven mechanical and pendulum clocks: Grandfather clocks, Regulator wall clocks, and Bracket & Mantel clocks, from premium clock producers. THC Regulators are built for delivery in six to eight weeks – Mantel clocks in two weeks. Many of the other brands’ clocks are available for delivery within a few days, while some can take up to 28 days. If time is a crucial factor in you purchase decision, please call to check availability before ordering.